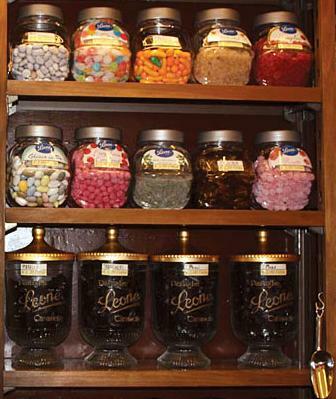 A candy shop in Rome (Corso Rinasciamento 8) is the same as it was in 1937 when it first opened. 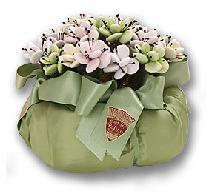 These Perugina products are available via Amazon for U.S. locations. Be sure to check specialty shops around where you live. Domori Digustazione (Tasters) Gift Pack Early candy shops in Italy were similar to candy shops in other countries: full of containers loaded with individual candies, or candied fruit, or individually wrapped chocolates. It is only in recent times, that candies have come to be sold in gas stations, bars, rail stations, tobacconists and supermarkets. 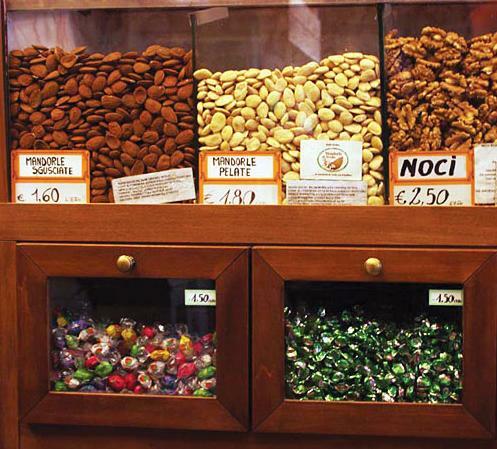 But even today, some of Italy's traditional candies are available, in Italy, and around the world. 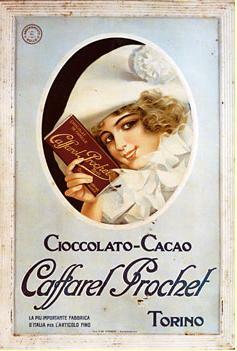 In 1852, Caffarel mixed chocolate, sugar and ground hazelnut paste together to make the mouth-watering Gianduia. It's been sold world-wide since 1865. But Caffarel has been in business making chocolate for much longer than that. In 1826, the factory began producing chocolate from scratch. Caffarel is based near Turin, which is considered the chocolate capital of Italy, partly because it was here at the end of the 1700s that the first ever solid chocolate candy was produced by Doret. 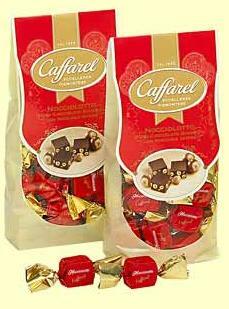 Today, you can buy all sorts of delicious chocolates from Caffarel. Just visit their website and check out their Classics. 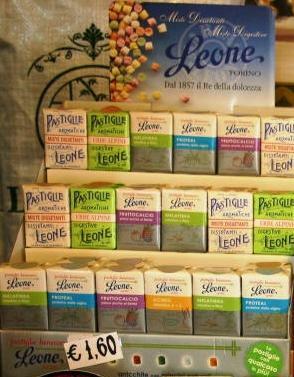 Today, Perugia is also considered a chocolate center. 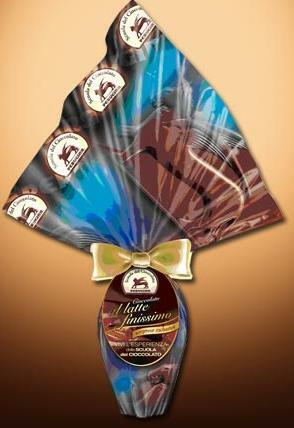 The Perugina factory produces not just chocolates, however, it also produces hard candies and cakes. 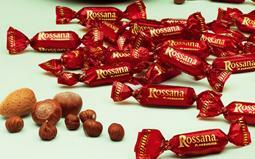 In fact, Perugina produces the most famous hard candy in Italy since 1926: Rossana, a zabaione filled candy. 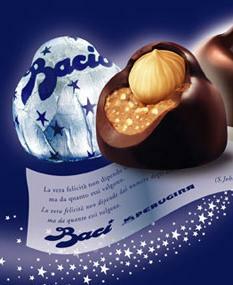 But Perugina is perhaps better known outside of Italy for it's chocolate kisses: Bacio Perugina. It seems in the early 1920s when the hazelnut chocolate was first sold, customers liked to call it a 'fist' or 'punch' (cazzotto)because it looked like a fist. That's when the company decided to call it a 'kiss' and advertised it as such. 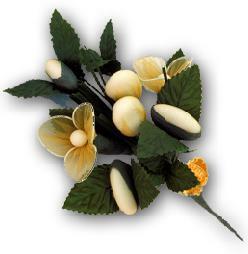 You'll have to visit the Perugina website to see all the wonderful products they make. 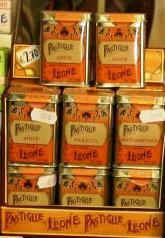 Since 1857, Pastiglie Leone have been sold in pharmacies, and lately, also in candy stores. 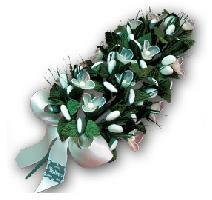 They were first considered medicinal aides, helping in digestion and other common problems. 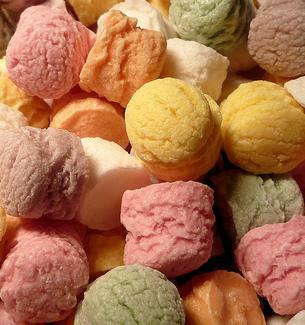 The candies look like compressed powder, but when they dissolve in your mouth, they taste creamy. 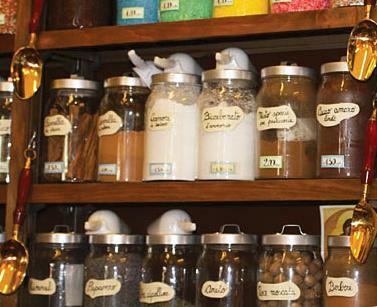 The 38 flavors are original and many still swear by their healthful properties. I can't seem to get their website to work in English, but you can try it out. 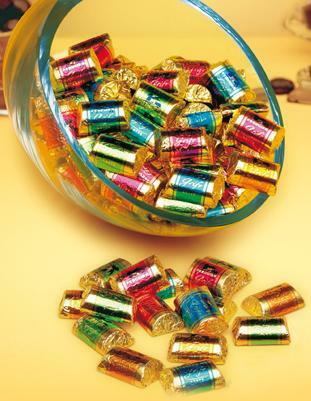 Confetti is the name for all the almond shaped candies used for special occasions. 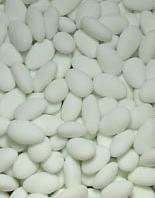 They can be sugar coated almonds, or just candies shaped like almonds. 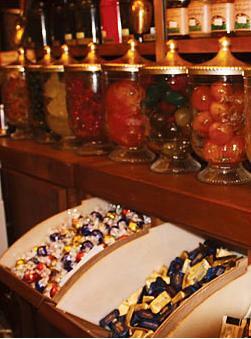 The candies originated from Arab doctors who used them to administer powdered medicines to patients way back in the Middle Ages. 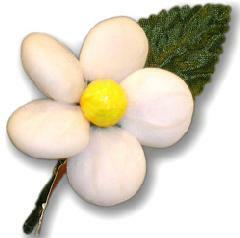 The Italian capital of confetti production is the town of Sulmona in Aquila. Here's a website with an English interface that ships the candies around the world. And another with a video that shows the artistic use of the candies. 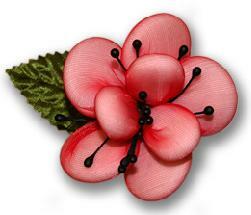 And the Pelino company, active since 1783, has a nice website full of information. If you are in the U.S., they have an exclusive distributor there. But just search in Google for 'confetti sulmona' and you get a long list of artisanal factories, many selling their products online. 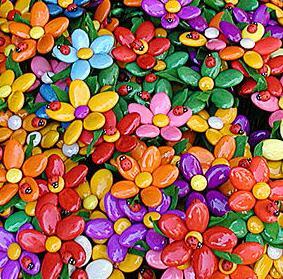 Many of the confetti sellers make beautiful confetti flowers that can be used for edible decorations for special events, or even as a bouquet that will last forever. 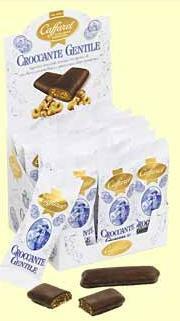 Domori chocolate is not an old Italian candy, but the best of the new candies. 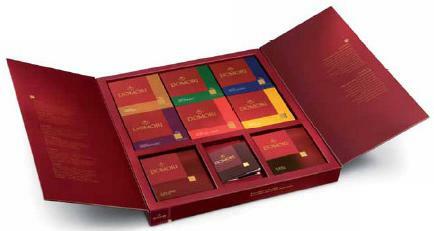 Domori is the purest, most flavorful chocolate in the world, the choice of top patisserie chefs the world over, and chocolate fanatics, too. Started by Gianluca Franzoni (a.k.a. 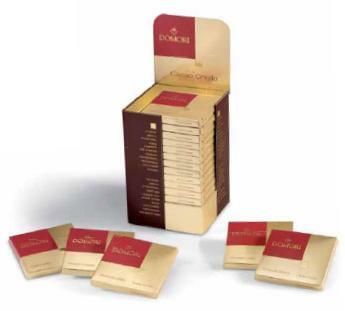 Mack Domori), and since financed and marketed by Illycaffe, Domori sources its chocolate beans primarily from Venezuela because that's where they were was able to find the rarest and best quality beans: Criollo. 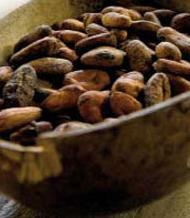 Criollo beans are so rare, they are used to produced only 1% of the world's chocolates. Trinitario beans are used for 10% of world production. 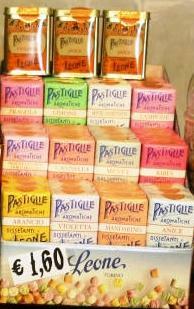 Forastero beans are used for the remaining 89%. Domori chocolates come in variations with Criollo and Trinitario and Arriba chocolate, almonds, hazelnuts, mint and candied ginger bits. 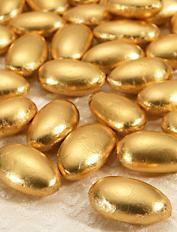 The rarest treat they sell is the fermented, roasted, shelled, chocolate bean itself. Their newest line is an energy bar. 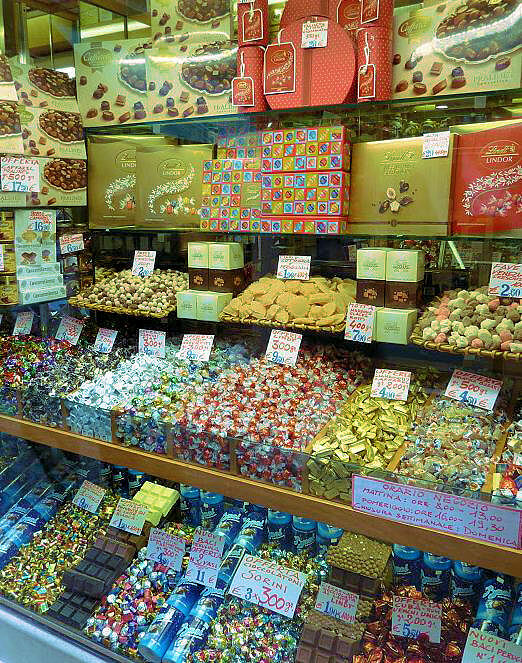 This candy shop display is from a shop in Venice, just off the Rialto Bridge, on your way to the Rialto Market.